You’ve got to believe me, Officer, he is coming to Haddonfield… Because I know him! I’m his doctor! You must be ready for him… If you don’t, it’s your funeral. One off. “Give me back my mask” Spider-Man figure. 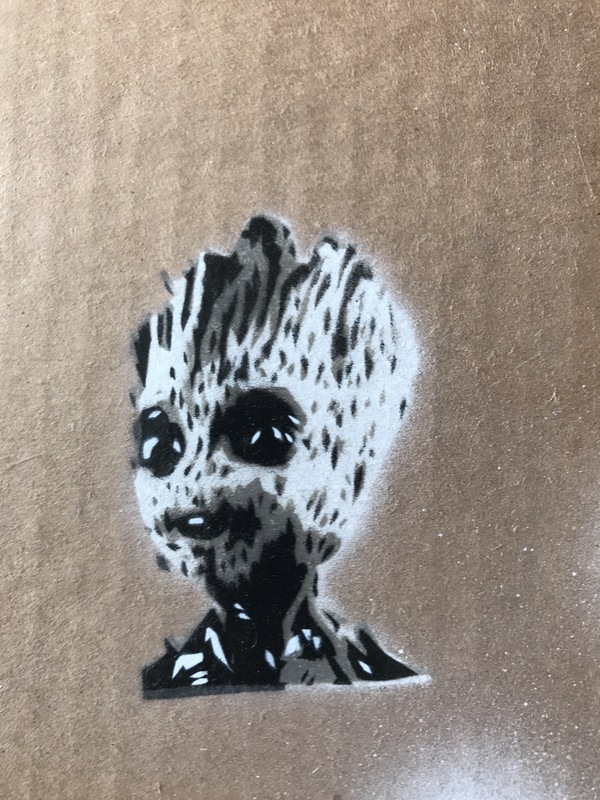 With a hand painted card. Available. If you want it, let me know. Joey Gallo 12×24 on stretched canvas. 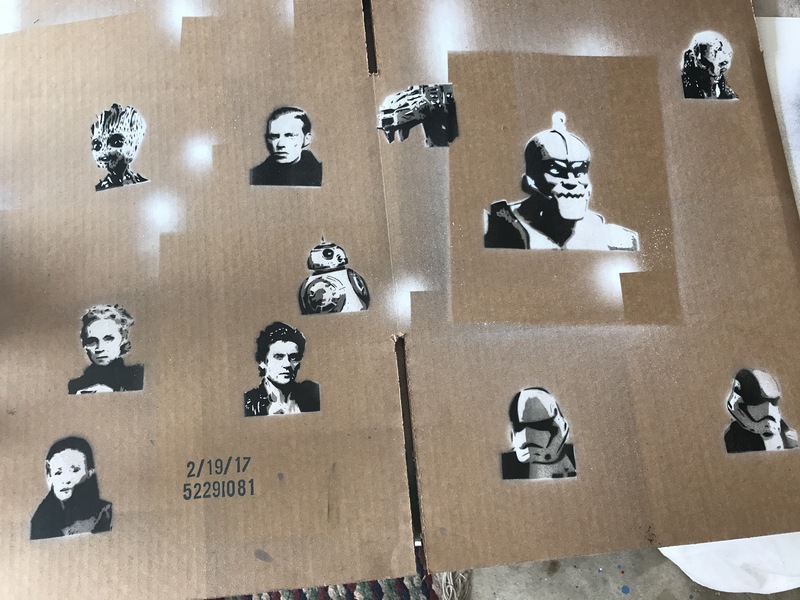 Spray paint and hand cut stencils. 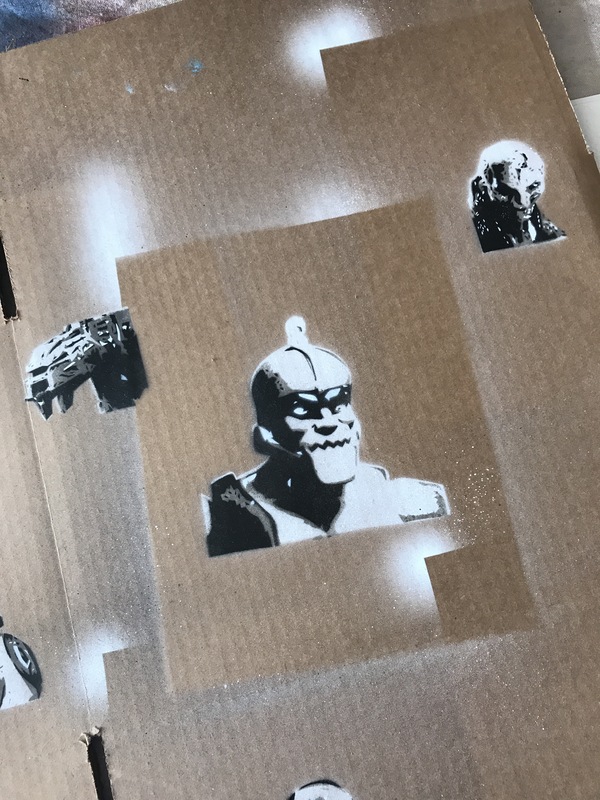 Just a quick update with a couple of test sprays.